Undeniably a tourist paradise, Lanzarote in the Canaries boasts of fantastic sunny weather all year round, thanks to its prime location off the African coast. In the midst of volcanic terrains and pristine beaches are all sorts of pursuits and activities for travelers of all ages. The island also proves that superb entertainment could come from a marriage between nature and architecture. 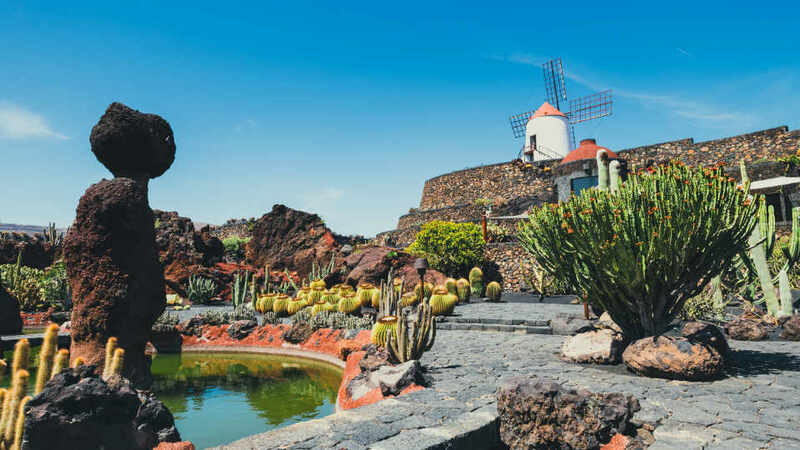 Solo travelers, couples, families, and friends, no matter who, there are plenty of places to see and things to do in Lanzarote. The most gripping cave systems and lava tunnels are in Lanzarote. Set northeast is the mesmerizing Cueva de Los Verdes. It features a concert hall and multicolored lava formations sparkling under the light. 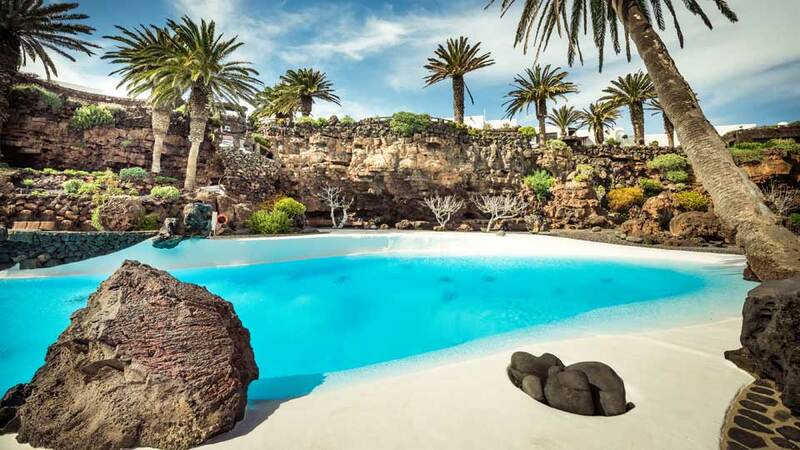 Further to the coast is Jameos del Agua where local artist Cesar Manrique successfully put his magical imagination to reality, creating an auditorium, bar, and swimming pool, all underground. The island’s lunar landscapes and hike trails are as intriguing as its artistic caves. Its terrain traverses through barren geologic formations of colorful volcanic rocks. Start with the various tracks in Timanfaya National Park. Then, follow a rewarding trail from Femes to Papagayo, leading towards the famous beach. The land and seascapes here are unlike any other. 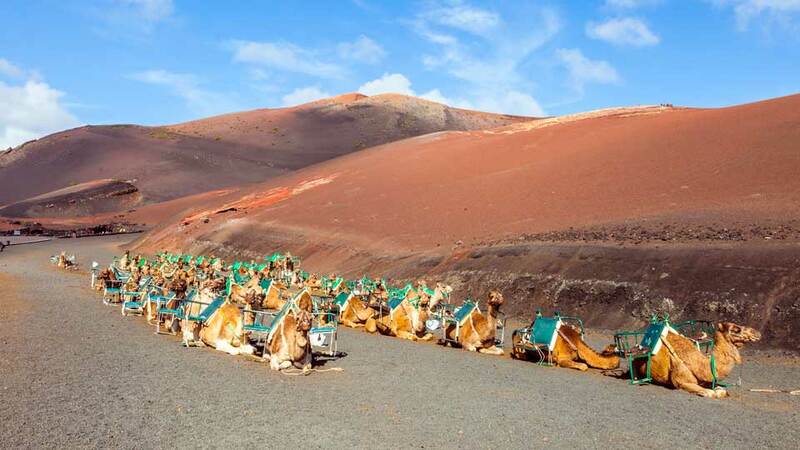 Marvel at the moon-like surface, as well as the endemic flora and fauna in Timanfaya National Park while at the back of a camel. But if a little walking is not a problem, don’t miss the fascinating volcanic experiments at the Fire Mountains or mesmerizing views of the natural lava environment and the neighboring La Graciosa from Mirador del Rio. Equally breathtaking are the bizarre-shaped seascapes of the island. To see huge waves trying to breakdown formidable cliffs, head to Los Hervideros. For a spectacular view of a green lagoon cradled by a volcanic crater which eroded into the sea, visit Lago Verde and El Golfo. The beaches in Lanzarote range from pure white or golden fine to pitch black volcanic sand. Aside from perfect spots to unwind and relax, its rich turquoise waters and powerful waves offer endless choices for water sports. With waters frequented by Atlantic waves, windsurfing schools are conveniently located in Costa Teguise, Playa Blanca, Tias and La Santa. For those with a penchant for sailing, flock at Marina Rubicon at Playa Blanca, and at Arrecife. 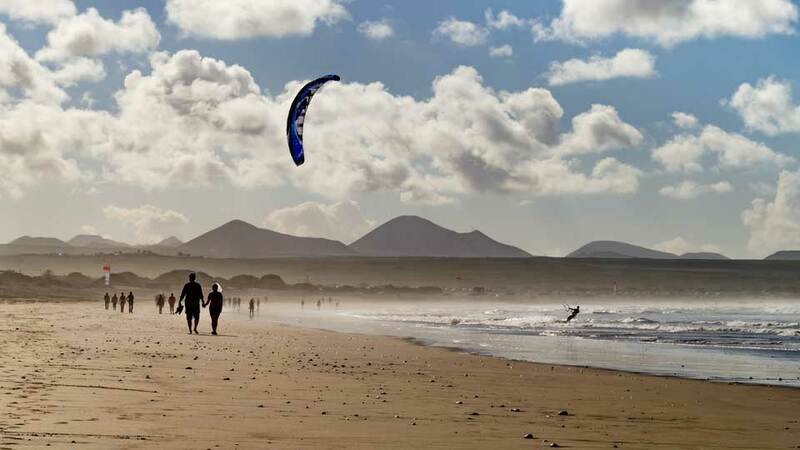 Thrill seekers who love paragliding, windsurfing, and kite surfing could head to the shores of Famara Beach. For a surreal experience, venture into a 12-meter dive site in the only underwater museum in Europe, Museo Atlantico. The extensive artificial reef features life-size human sculptures depicting a harmonious relationship between humanity and nature, all done by brilliant artist Jason deCaires Tayor. 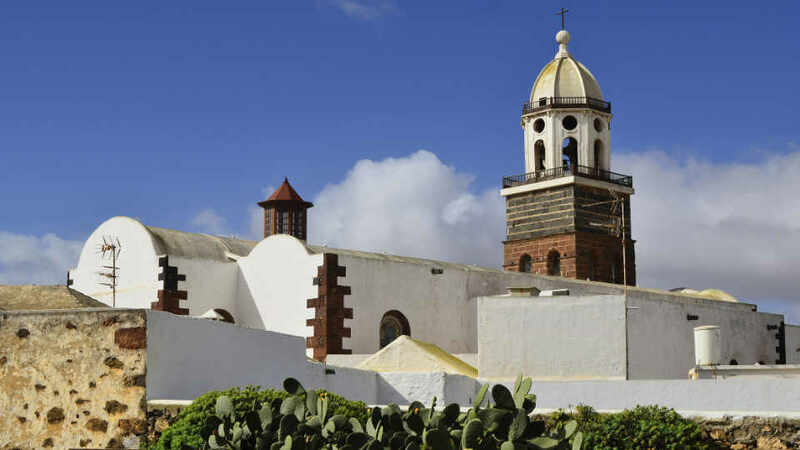 Steeped in tradition and history, the island of Lanzarote is a great cultural adventure. Just step into popular museums like Casa Museo Cesar Manrique in Haria or the Pirate Museum in Teguise. While in town, bask in the serenity of old churches like Iglesia Nuestra Señora de Guadalupe. But for a different experience, witness Lucha Canaria, traditional Canarian wrestling. Complete culture-rich tours with the most exquisite wines from the island’s vineyards from San Bartolome to Uga and Timanfaya. And when the night is high, chill at the hippest and coolest wining and dining establishments at Avenida de Las Playas in Puerto del Carmen, or at the stylish Marina Rubicon at Playa Blanca. The kids and kids at heart also have a myriad of entertainment options and things to do while on the island. Pretend like a cowboy for a day, interact with wild birds, dolphins, and other animals and have fun at the pool in Rancho Texas Park. Meanwhile, plant lovers indulge at the massive display of cacti in Jardin de Cactus. The amphitheater-like landscape and the windmill in the distance make it a picture-perfect destination. Lastly, those with little kids delight at the pottery class, donkey rides, and more barn activities offered in Las Pardelas Park.